← The Filling Station: A fresh expression of church? A few weeks ago I tweeted a quote from Barbara Glasson’s book, Mixed-Up Blessing. Barbara was the Methodist minister assigned to pioneer new things in the city centre of Liverpool. Out of her work came what has become known as the ‘bread church’, a group that meets together to bake bread, then east together and distributes what they have made to local groups. The book is an account of her work and the learning-points that have emerged. One passage that stood out was her description of the church as a watering hole. This quote struck a chord with ministers when I posted it on twitter. As a pioneer, I have always sought to build community. There is a sense of gathering people together, and working hard to hold people together. In her work Glasson found that the gathering was made more effective by making sure people could ‘see their exits’. Of course, there were a whole lot of other things going on in her group — a sense of acceptance, participation, ownership etc — all of which enable people to feel at home and hence they want to stay. I’ve also recently been reading through Gray-Reeves and Pernham’s book on worship in emergent churches, The Hospitality of God. In it they use their case study visits to fourteen churches in the US and UK who would describe themselves as either emergent, or fresh expressions, all of which are Anglican. I would place all of these churches in the alternative worship category of fresh expressions which means they have mostly started with worship rather than service or engagement with a context, so the book cannot speak for the whole fresh-expression movement. (Fourteen categories of fresh expressions were outlined in the Mission-Shaped Church report and in subsequent fresh expressions writing.) They also mostly prefer a liturgical style of worship, which is a distinctive characteristic of Anglicanism and, in particular, the Episcopal church in the US. Rollins appears to want to distance himself from a watering hole analogy, instead wanting people find ‘silence, space and desolation’ which can create the space for God to be heard. His is a desert place. There is clearly value in both analogies, however, I would contend that being in a desert is not where we are wanting to leave people. Yes, a desert is a place of silence and desolation, but it is also a place of loneliness, desperation, hunger and thirst. A space where these longings can be identified is important. But ultimately God brings nourishment and connection. If the watering hole and desert analogy can come together, we can create communities that recognise, name and articulate the places of desolation (or nothingness?) that exists. But with the watering hole of God’s presence, we are not cast out, lost, without nourishment (as we might be in a desert), but we are invited to connect with God. Elsewhere, I have written on how God encounters humanity at these points – places of nothingness – and how we can create church communities from this point of God’s encounter. Yes, people are free to come and go, but with life and nourishment on offer, they may be very likely to stay. So, watering hole or desert place? Whilst our ecclesiology must be big enough to cope with both, my instinct is that the desert place is not something to strive towards, but to work from. 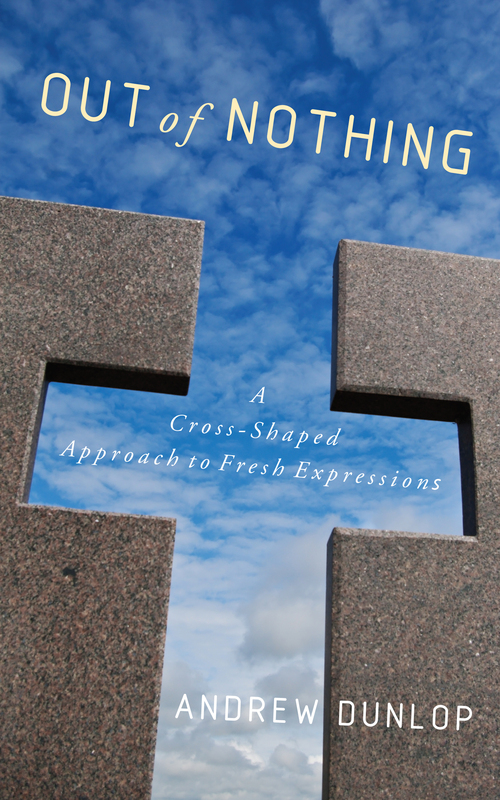 This entry was posted in books, church, ecclesiology, fresh expressions, theology, Uncategorized and tagged Barbara Glasson, Bread Church, Mary Gray-Reeves, Michael Pernham, Pete Rollins, watering hole, worship. Bookmark the permalink.